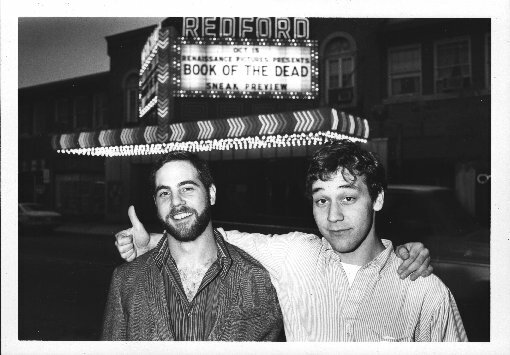 Book of the Dead (later retitled The Evil Dead) premiered on October 15th, 1981, at Detroit’s Redford Theater. Turnout was excellent, and Raimi started touring the movie. Eventually he met Irvin Shapiro, who had distributed George Romero’s Night of the Living Dead. 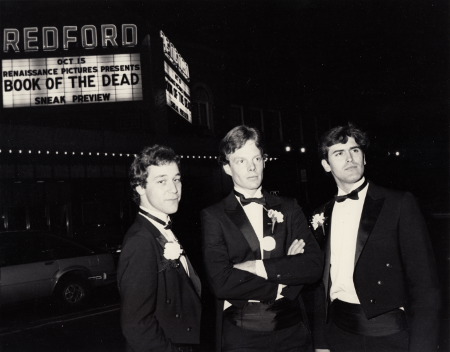 Shapiro convinced Raimi to change the title to The Evil Dead and got the film into Cannes in 1982, where Stephen King saw it, loved it, and gave it a rave review. The rest is history. 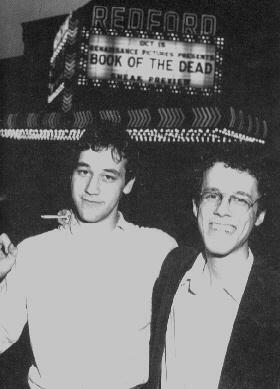 Josh Becker did sound and lighting, Rob Tapert was producer, and Ethan Coen, believe it or not, flew down from New York with the final edit on the day of the premiere. His brother Joel had assisted with the editing. Blood Simple, the movie that got the Coen brothers their start, was inspired by the indie ethos and look of The Evil Dead and premiered three years later in 1984.